Detroit Fire Department Sergeant Fred Bergman made the ultimate sacrifice in service to the citizens of Detroit on April 4, 1947. At the time of his death Fred was assigned to Engine 32. Initially it was thought that Bergman had become overcome by smoke while fighting a fire in a residence at 9343 E. Vernor. He was revived at the scene, but became ill while his company was returning to their quarters. Sergeant Bergman was transported to Receiving Hospital. He passed away about 40 minutes after reaching the hospital. It was later found that he had suffered a heart attack. At the time of his death Fred was 49 years old. He was a 23 year veteran of the department. Fred left behind a wife and daughter. Funeral arrangements for two members of the Detroit Fire Department who passed away last week have been announced. The two died in separate incidents just 2 days apart while on duty at two Detroit fire stations. 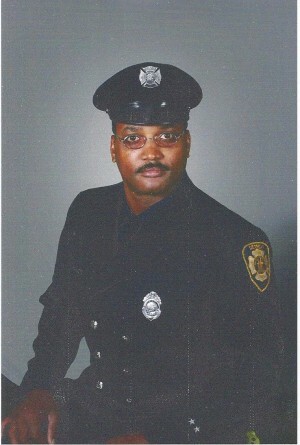 Related Story: Second Detroit Firefighter Death On Duty in 2 Days. Once again central office has delivered a radio message no firefighter wants to hear. 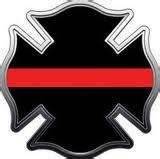 For the second time in 2 days the Detroit Fire Department grieves the lost another member who died while on duty. 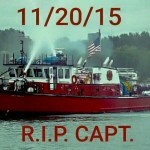 Walter Szelag, Captain of Fire Boat 1, passed away from what appears to be a heart attack. One firefighter reported that this was Captain Szelag’s last scheduled shift of the season before the Fire Boat is shut down for the winter. Captain Szelag’s death comes on the heals of another Detroit Firefighter death. Just 2 days prior, November 18, 2015, Sgt. Vincent “Vinny” Smith passed away while on duty at Engine 48’s quarters. Vincent “Vinny” Smith on the roof while he was a firefighter at Ladder 19. He was found at approximately 7:30 am seated in his recliner. At this point there an official cause of death has not been released, his death also appears to be from a heart attack. 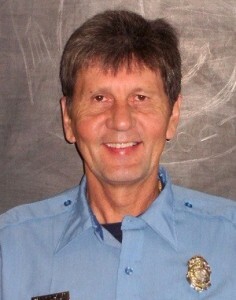 Vinny served on the department for 23 years and was currently assigned to L-13. Sgt. Smith leaves behind a wife and 5 children. Thirty-six Detroit Firemen were plenty burned up today. 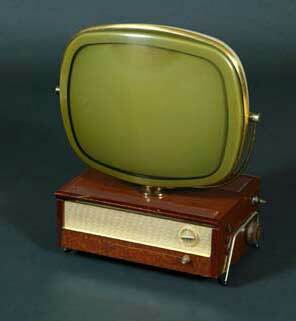 1958 Philco table top television set. It took the firemen only seven minutes to make the three-mile round trip. But when they returned they found they had missed not only the program. The TV set was gone. Some one had taken it. If your loved one is a firefighters there’s a possibility he’s been hiding something from you. He hates the firefighting related gifts he receives. He knows that the people who give them had the best of intentions. But let’s be real. Exactly how many statues of Dalmatians next to a fire hydrant does one person need? 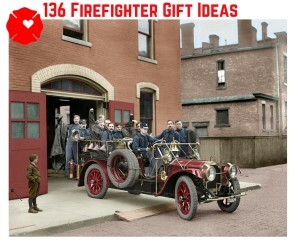 With this in mind, I’ve put together a huge list of gift ideas that your firefighter will truly love. 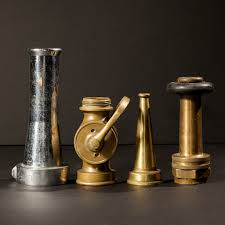 Fire alarm pull boxes, brass nozzles and vintage department photos are just some of the items that can be found on ebay. I would avoid badges and patches unless your firefighter is a badge or patch collector. 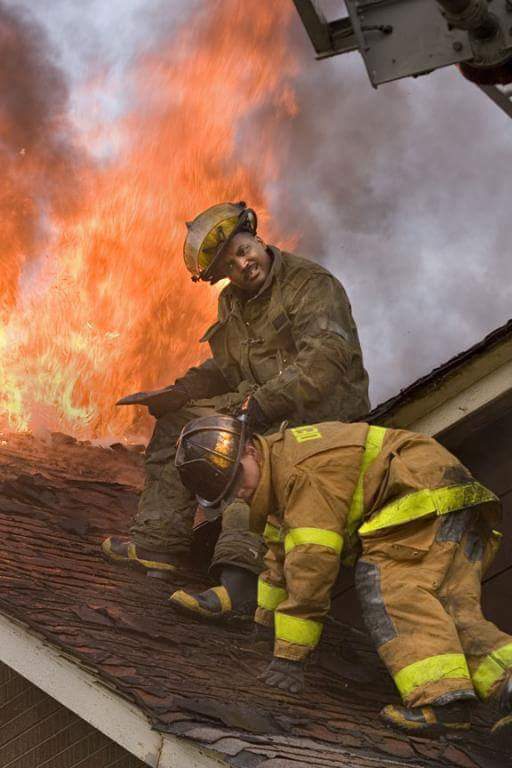 A word of warning: some items on ebay are listed from specific departments (especially large departments like Detroit and FDNY) may not be from those departments. Do your homework, and read descriptions very carefully. This handy strap will keep gloves together and ready for use, and frees up pocket space in bunker gear. Detroit Fire’s Fireman Crooner Sings a Christmas Song For You. 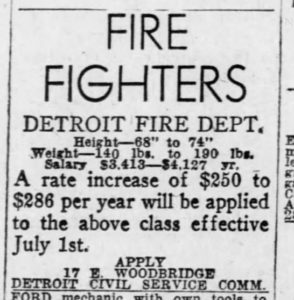 Post by Detroit Fire Department – DFDLegacy.com. 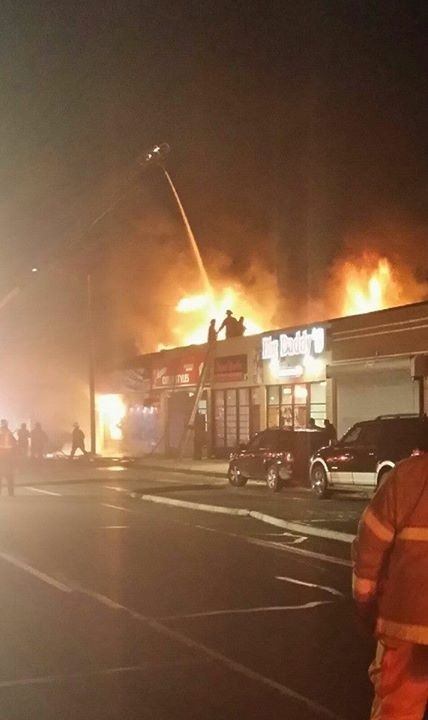 Detroit firefighters responded to a fire in a two-story commercial building located on 8 Mile Road and Stansbury, the city’s northwest side. The building housed the General Merchandise Liquidation Surplus Outlet, which sold appliances, electronics and furniture. Two firefighters were hospitalized for smoke inhalation after they crawled out of the building. Initial reports from local new outlets are stating that their air tanks “apparently gave out”. Footage of the firefighters exiting the building can be seen starting around the 30 second mark in this news report. In the days before streaming movies, internet and sports on demand channels, Detroit Firefighters found some very creative ways to entertain themselves and fill the time between runs. Here’s an audio story that highlights a bit of that creative spirit. You can hear all our stories and read more in our archives. One thing is certain. Interact with enough people and you’re bound to see some funny things. Emergency calls are no exception. Year after year. Run after run. With the volume of calls Detroit Fire handles, most don’t stand out. When an investigator asks about a fire from a few weeks ago, you have a hard time remembering which fire he’s referring to. But the funny calls. . . they stick with you forever.